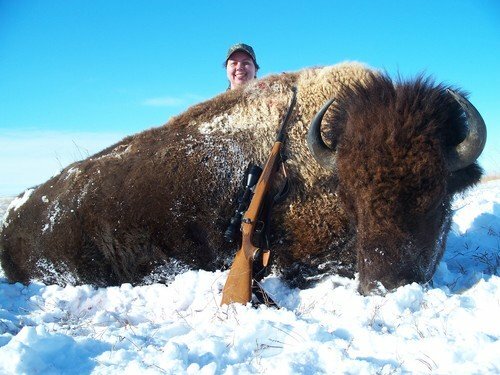 Experience a South Dakota Buffalo Hunt, a hunt of a lifetime with Royal Flush Hunting Lodge. 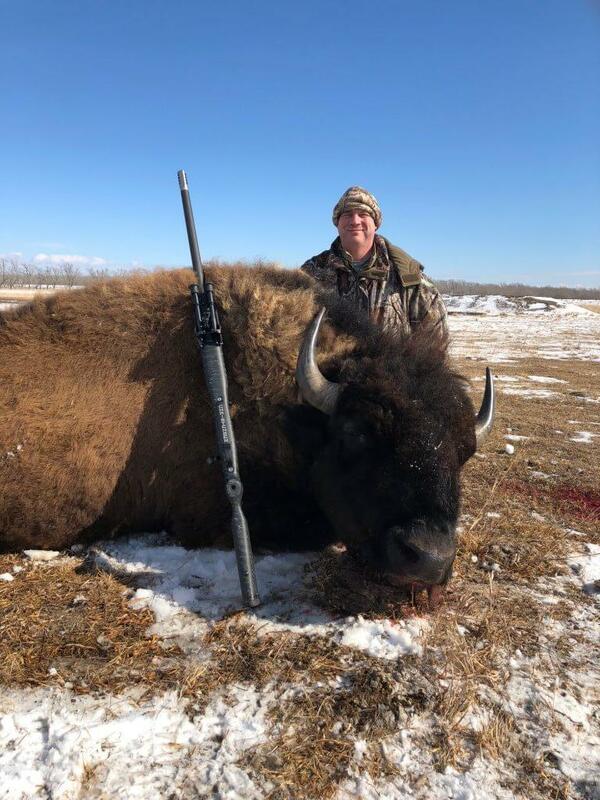 Just among the rolling South Dakota Prairies, these massive animals are roaming in our pasture lands and available to our clients for this thrilling hunt. 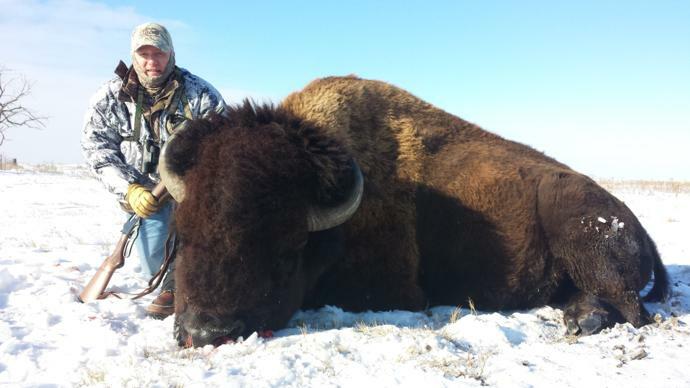 Ever watch Dances with Wolves, now you can fill your freezer with some great buffalo straight from South Dakota! 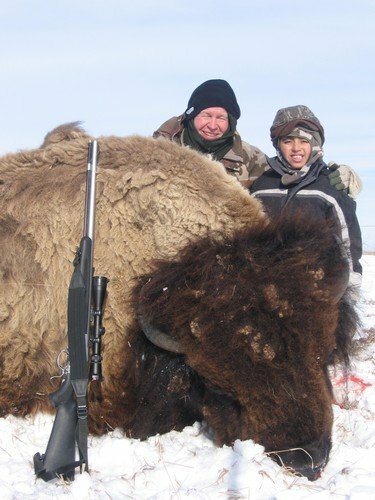 Our Buffalo Hunts begin December 10th, 2018 and run through the end of February, 2019. 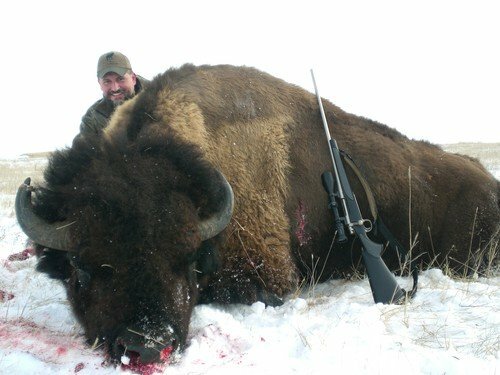 Hunts offered: From Buffalo Cows to Trophy Bulls. 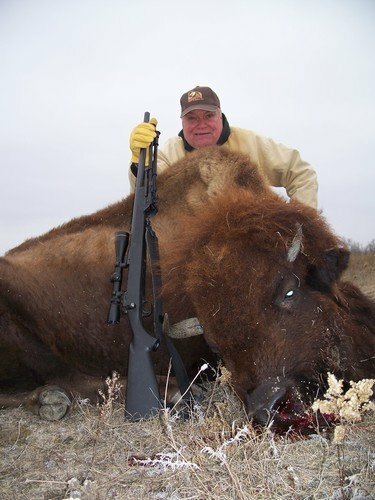 Our South Dakota Buffalo Hunts are all inclusive hunts and are sure to be memorable. 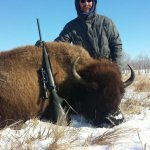 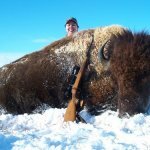 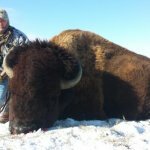 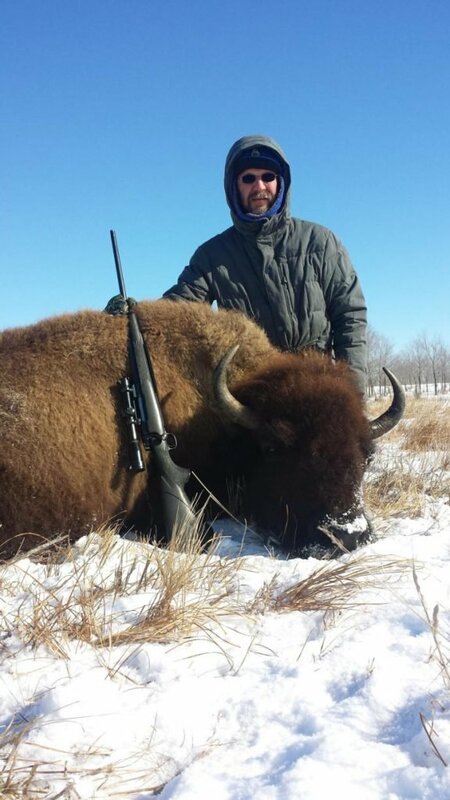 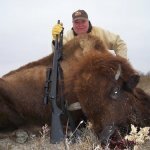 Contact us today to book your South Dakota Buffalo Hunt on the vast Prairies of South Dakota. 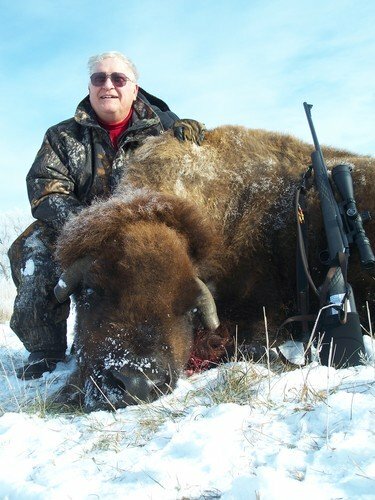 Weapon: You can hunt with a Bow, Muzzleloader, Pistol, or a Rifle (Minimum Caliber .270). 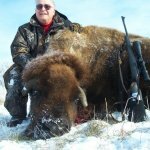 Land: 7,000 acres of vast South Dakota country side which assures the hunt to be very challenging. 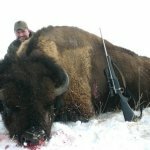 Gear: All you really need to bring is your weapon of choice and your cold weather gear the rest will be handled by the outfitters.